The days are getting shorter, the nights are cooling down and you would like to spend more time on your porch, patio. Consider adding an outdoor fireplace to your entertaining area. Some provide significant heat when required, while others provide an appealing focal point but not much heat. There are fireplaces that look like artwork or furniture when not in use, consider fire pits made of copper or steel. Another option is gas fireplaces such as luminarium, that come in different finishes. 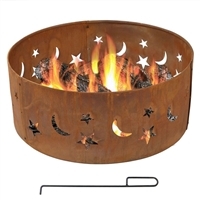 Pre-made fire pits are the most common form of fire pits and can be purchased from a store. These are commonly made of precast concrete or metal and/or a combination of metal table and stone. They are usually natural gas, propane or bio-ethanol. Wood burning fire pits made of metal are also quite common but under increasing scrutiny due to fire bans and air particulate emissions. Natural gas and propane burners in these sort of prefabricated vessels are certified under ANSI standards. Fire pits have recommended clearance to combustibles and require at least 5 feet above the flame and 16" circumference from the exterior perimeter of the vessel. Essentially, to make a fire pit only a hole is required in order to safely contain a fire. This can be as simple as digging a hole in the ground, or as complex as hollowing out a brick or rock pillar. 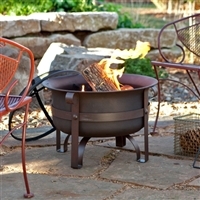 A wood burning fire pit should be located at least ten feet away from structures for safety. The common feature of fire pits is that they are designed to contain a fire and prevent it from spreading. A fire ring is a construction or device used to contain campfires and prevent them from spreading and turning into wildfires. Fire rings have no bottom and are simply circles made of forged metal, stones, concrete, etc. which surround and contain a fire. When a fire is to be built somewhere such as on a patio or in a backyard, a fire pit or outdoor fireplace may be better used instead. These are designed to contain the entire fire instead of just keeping it in one place. A fire ring may be nothing more than a short, wide section of a metal tube, partially buried in the ground. Slightly more advanced fire rings may be partially covered with metal bars so that the fire may be used for cooking. Fire rings in urban areas, such as on beaches, may be made of poured concrete. Makeshift fire rings can be constructed out of a ring of stones where pre-constructed rings are not available, but care should be taken as some stones can explode when heated due to trapped gas pockets, thermal expansion, or water contained flashing into steam. 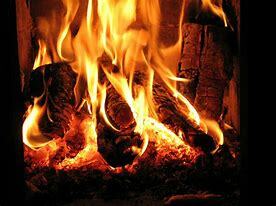 An outdoor fireplace is a place for building fires outside of the home. Similar in construction to an indoor fireplace, an outdoor fireplace is usually added to a stone, brick, or concrete patio. It often consists of a firebox and a chimney. As with indoor fireplaces, an outdoor fireplace requires cleaning and maintenance to keep it looking and working at its best. While an outdoor fireplace may not need to be cleaned as often, it will need to be cleaned regularly in order to keep it reasonably tidy and maintained and to remove ash build. An outdoor fireplace can simply be a decorative element, which allows homeowners to enjoy a crackling fire while entertaining in the backyard. A chiminea (from Spanish: chimenea means chimney), is a freestanding front-loading fireplace or oven with a bulbous body and usually a vertical smoke vent or chimney. Historically chimeneas have been made out of fired clay and used for heating and cooking. These traditional designs can be traced to Spain and its influence on Mexico. The first use of a traditionally designed chiminea appears around 400 years ago. 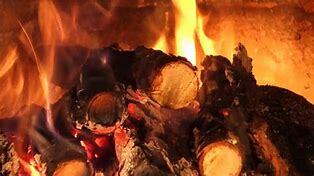 Get your fire going and entertain all evening, thank you for reading. Wicker - Rattan Whats the difference?